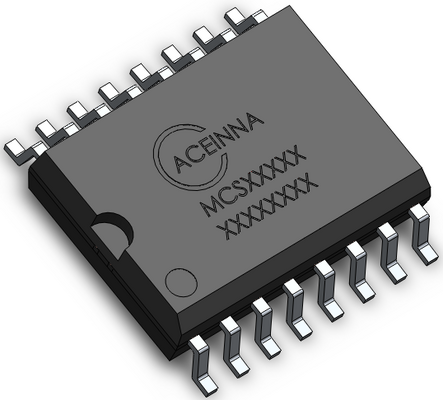 MCx1101, launched by Aceinna, is a family of high accuracy current sensors based on AMR Technology ideal for industrial and power supply applications. These sensors are fully integrated and bi-directional, and they are able to guarantee an accuracy of ±2.0% at 85°C and an offset of ±60mA, or ±0.3% of FSR over temperature. This means that high accuracy can be achieved over a roughly 10:1 range of currents. The family includes ±50, ±20, and ±5A ranges, and is offered in both fixed gain and ratiometric gain versions. 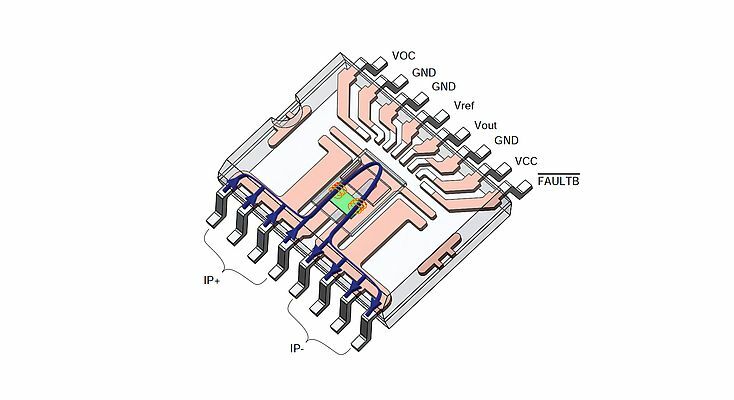 It is packaged in an industry standard SOIC-16 package with a low impedance (0.9 milli-ohm) current path and is certified by UL/IEC/EN for isolated applications. MCx1101 delivers a combination of high accuracy, 1.5MHz signal bandwidth with industry benchmark phase shift vs. frequency and 4.8kV isolation making them ideal for high- and low-side sensing in fast current control loops for high performance power supplies, inverters and motor control applications. The fast response and high bandwidth of MCx1101 is also ideal for fast switching SiC and GaN based power stages enabling power system designers to make use of the higher speeds and smaller components enabled by wide band-gap switches. Output step response time is 0.3us. MCx1101 also provides an integrated over current detection flag to help implement OCP (Over Current Protection) required in modern power systems. Over current detection response time is fast 0.2us.